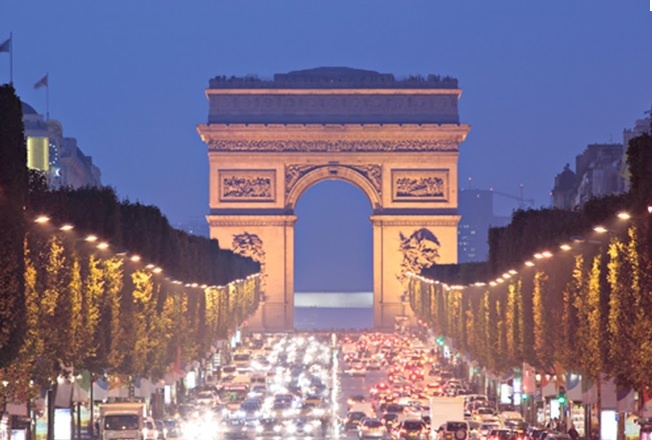 “Midnight in Paris” is the latest production written and directed by Woody Allen. A young couple, portrayed by Owen Wilson and Rachel McAdams, travels to Paris on the eve of their wedding. As Owen’s character falls in love with Paris, then the movie takes an unexpected turn, as he mysteriously travels back in time where he starts to believe and fantasize that a life different from ours would be much better. The opening sequence of the movie, with the camera pans the stunning Parisian vistas, sets the visual tone for the entire movie, with fantastic performances from a star-studded cast. However, even though I was completely taken with the views of paris itself.. 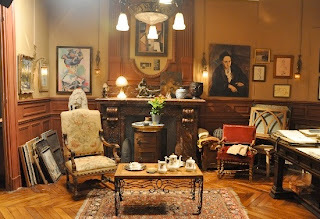 I was quite impressed with the set design.. and began to wonder what goes into creating nostalgic interiors. I looked up the designer and found Anne Seibel! Anne Seibel is responsible for the beautifully executed production design of the movie. She has also worked on numerous productions, from “Marie Antoinette” to “Munich”, and from “Swordfish” to “The Happening”as well as "Midnight in Paris". 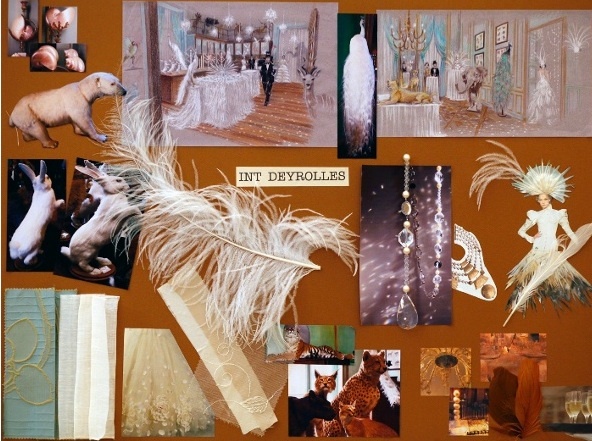 Take a look at some of the work that goes into designing fabulous sets! I obtained most of my research from www.pushing-pixels.org(Thankyou)! 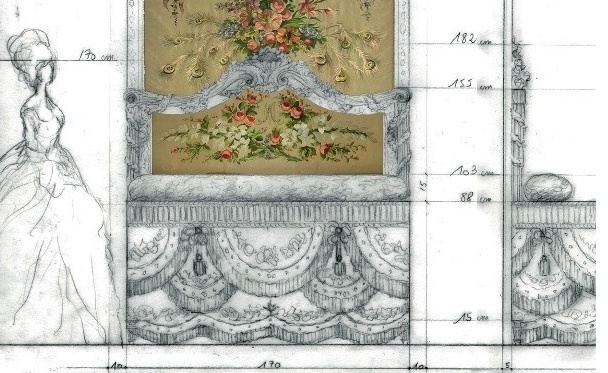 Drawing board for set design of Marie antoinette Room. 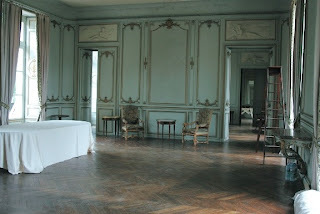 The Before of Antoinette Room. After Anne works her magic a transformed Antoinette bedroom! 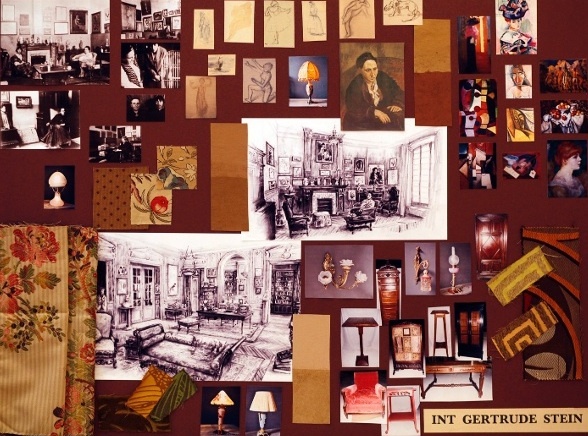 Idea board for Stein's apartment , similar to the interior design idea boards we as designer use. Midnight in Paris' Stein Apartment revealed! Idea board for the amazing wedding room..including sketches which Anne rendered. 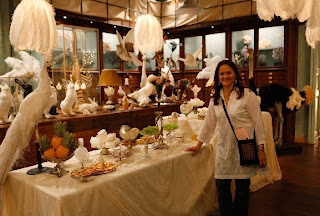 A proud Anne standing in her wedding room transformation! 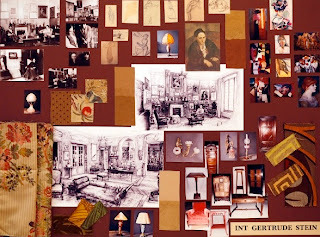 This is a great post I love seeing how great ideas come together. 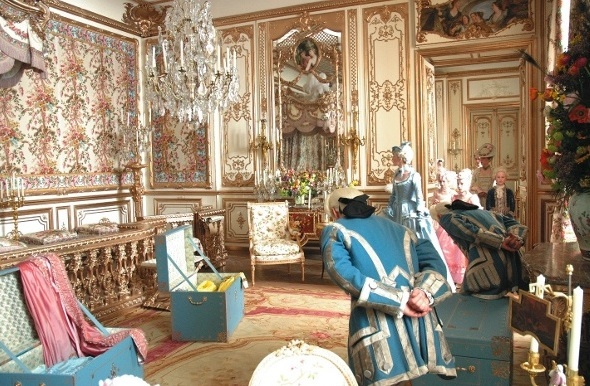 What a wonderful insight to such fabulous sets! Great to have found your blog and thank you so much for your lovely message!! Thankyou, I look forward to enjoying your blog as well!